A National Health Interview Survey recently revealed that over 54 million adults in the United States have some form of arthritis. * In turn, joint discomfort is one of the largest health issues affecting Americans today. 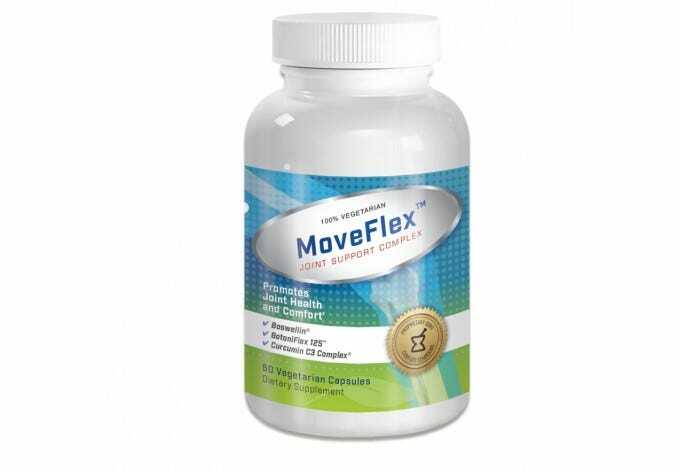 Our MoveFlex™ formula is a vegetarian joint supplement created with a clinically-proven blend of Chinese Skullcap root extract, Acacia heartwood, and bark extract, plus other potent ingredients such as turmeric and olive leaf. MoveFlex™ is a one-of-a-kind nutritional blend designed with the highest quality ingredients that are safe, natural, and effective.